Norcross, GA – October 8, 2018 – Particle Testing Authority (PTA), a division of Micromeritics Instrument Corporation, today announced it has acquired a Freeman Technology FT4 Powder Rheometer® for assisting its contract testing customers with their powder flow and powder processing issues. 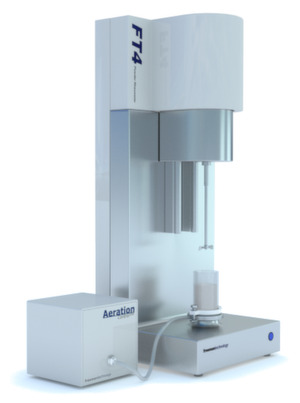 Considered the “gold standard” of the industry, the FT4 Powder Rheometer is a universal powder tester, which uses bulk, dynamic flow, shear, and process methodologies to quantify powder properties in terms of flowability, aeration, permeability, compressibility, shear strength, and wall friction. It delivers data that maximize process and product understanding, accelerate R&D and formulation, and support in-process optimization. For more in-depth information, see the FT4 Brochure. 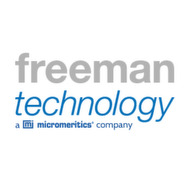 Micromeritics Instrument Corporation acquired Tewkesbury, England-based Freeman Technology this past June. “The Freeman Technology acquisition and the FT4 allows PTA to provide a more comprehensive testing protocol for customers working with powders and wanting to know as much as they possibly can about how powders may behave, mix, blend, segregate, or react,” said Greg Thiele, General Manager of Particle Testing Authority.